Gov. Rick Snyder has announced the appointments of Brian Calley, of Portland, and Dennis Muchmore of Laingsburg, to the Oakland University Board of Trustees. "I'm honored to receive this appointment to join the board of a world-class university located in one of the most dynamic regions in the county," said Calley. "I am especially pleased to work with an organization that has made inclusion and accessibility a priority, especially for those with developmental disabilities." Calley has been serving as lieutenant governor alongside Gov. Snyder since their election in 2010. As lieutenant governor, he also serves as president and presiding officer of the Michigan Senate. 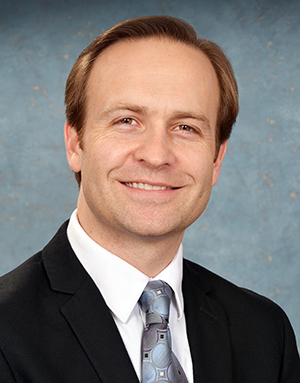 Calley previously served as a state representative and an Ionia County commissioner. He holds a bachelor’s degree in business administration from Michigan State University, a master’s degree in business administration from Grand Valley State University and a master’s degree in public administration from Harvard University. He replaces Ronald Robinson. Muchmore is co-leader of the Government Relations and Regulatory Practice of Honigman, Miller, Schwartz and Cohn, PLC. He previously served as chief of staff for the Executive Office of Gov. Rick Snyder, principal of Muchmore Harrington Smalley & Associates and senior vice president of the Michigan Chamber of Commerce. Muchmore holds a bachelor’s degree in theatre arts and English from Eastern Illinois University and a master’s degree in public administration from Michigan State University. 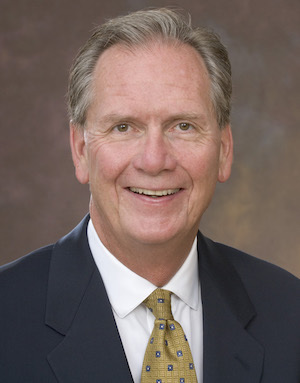 He previously served on OU’s Board from 2002-2004 and replaces Mark Schlussel. "Oakland University is a student-centered, global university, perfectly situated to provide students with opportunities for growth and leadership," said Muchmore. "I salute the passion that goes along with being one of the Golden Grizzlies." Calley and Muchmore will serve eight-year terms expiring August 11, 2026. Their appointments are subject to the advice and consent of the Senate. Oakland University is governed by an eight-member Board of Trustees appointed by the governor to serve eight-year terms. The board provides general supervision of the university, including control and direction of all expenditures from the institution's funds. The board also appoints the university president, as well as the secretary to the board and treasurer. Oakland University will unlock the potential of individuals and leave a lasting impact on the world through the transformative power of education and research.